The question I get asked most often is, “What should I do to get started homeschooling?” My answer is simple. Read. Educate yourself. The idea of homeschooling can be overwhelming. Many of us feel called to do it, but most of us feel overwhelmed by the enormity of the task. We fear the whole idea of being solely responsible for our children’s education. Fear is good. It motivates us to learn. And so if you’re thinking about homeschooling or just beginning along the path, I implore you to educate yourself. The following are books, audio recordings and websites that I have read and found helpful in my journey. This list is not exhaustive…there are so many other gems that I have stumbled upon over the years. But these listed here are my tried and true resources…the ones I refer to time and again. I DID NOT read them all before beginning to homeschool…these are books and recommendations to guide you and lead you as you journey. This list does not offer support for specific subjects you’ll be teaching (you can find wisdom and insight at the 4real forums or the WellTrainedMind forums) or for curriculum providers (of which I have many favorites, including Serendipity’s Alphabet Path, Heart of Dakota, Memoria Press, Sonlight, WinterPromise). 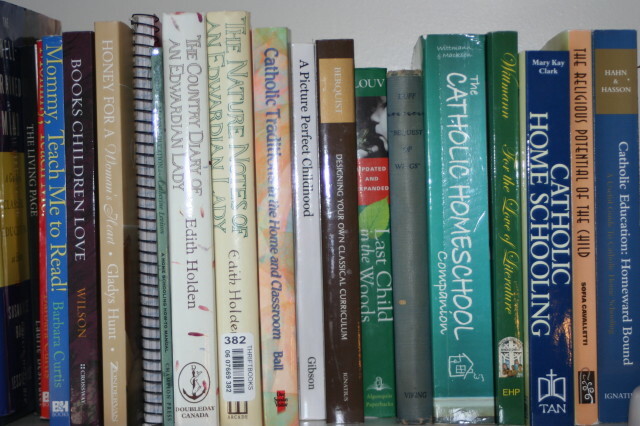 The books that are marked with a * are Catholic resources. My point is not to overwhelm you with resources, but rather to give you a variety to choose from. 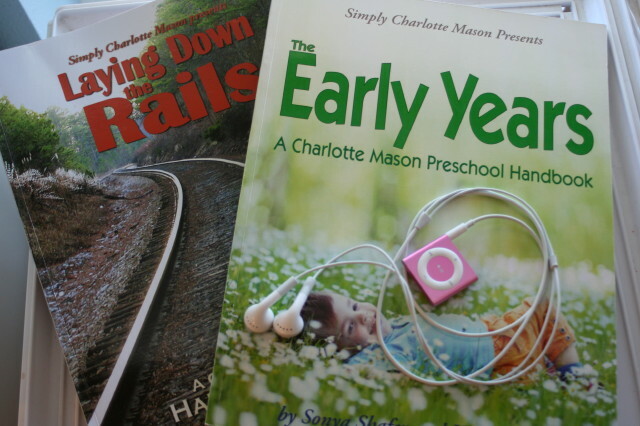 For you homeschooling mamas out there that are reading this, please feel free to leave a comment with any other resources that have been your inspiration or encouragement to you as you have journeyed.